Tilbury House Publishers, 9780884484875, 32pp. Rubio Fromage sat in his father's cheese shop and longed to taste the beautiful fruits in the window of the fruit shop across the street. Julienne Ch ri sat in her mother's fruit shop and longed to taste the delectable wheels and savory wedges in the window of the cheese shop across the street. 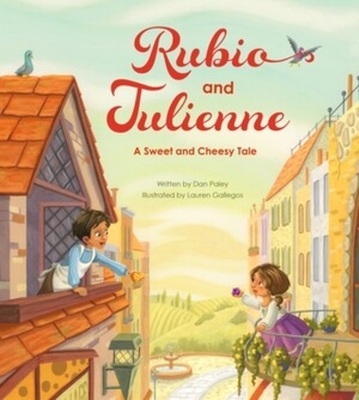 But Rubio's father hated fruit and Julienne's mother hated cheese, and the children were forbidden to speak to each other.